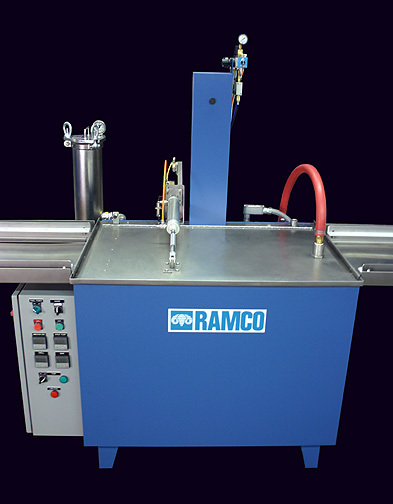 This Wash and Rinse/RP System was built for a major manufacturer of precision bearings. The system washes and rust inhibits a wide variety of bearings and achieves cleanliness specifications in compliance with the manufacturers requirements. The line is constructed from the MK Series and runs left to right. 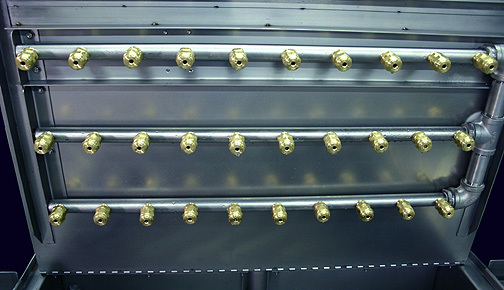 Baskets are staged to the left on a loading conveyor section and slide over UHMW strips throughout the system (see above). Both stages include power operated covers and fine particle filtration. The Washer (above) uses an internal header (below) with multiple flushing nozzles to provide a comprehensive spray pattern and uniform washing throughout the working zone. 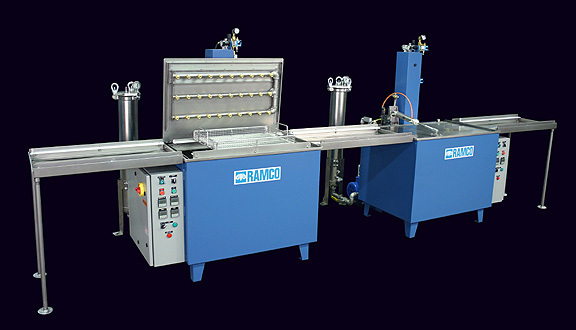 Wash – The wash stage is designed to remove residual soil from the bearings using a safe solvent at ambient temperature. Due to the critical cleaning requirements of the process spray, vertical platform oscillation and solution turbulation/filtration are all employed. The steps are sequenced with dual digital cascading timers for turbo washing combined with platform oscillation followed by spray washing combined with platform oscillation (see Dynamic Flow Combination for additional information). Rinse/RP – The rinse/RP uses platform oscillation with filtration. 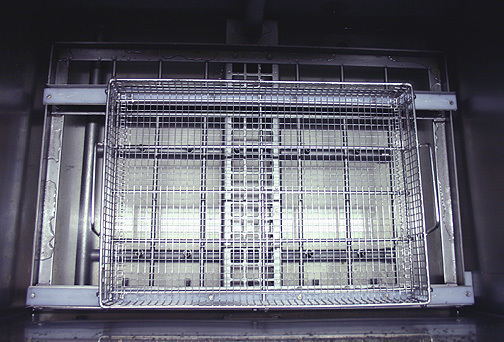 The elevator moves the basket into the working zone and oscillates the parts in solution with either a short or long stroke. A selector switched is used to select either long 5 to 9 inch or short 2 to 4 inch strokes. The long stroke is used to provide better flushing (hydraulically forcing solution though the working zone) for nested masses of parts and/or complex shapes with recessed passages whereas the short stroke is used to provide quicker oscillations and faster cleaning of simple parts and/or part configurations. 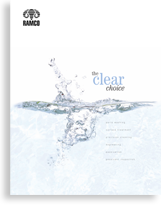 Flexibility in stroke ranges and speeds produces better cleaning.